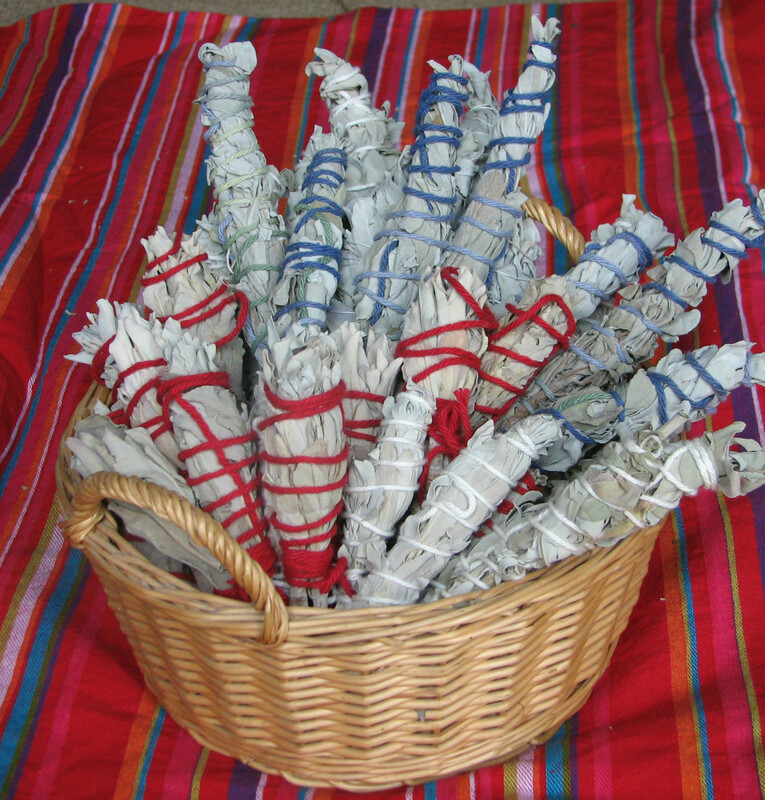 Isabella Snow has experience with the practice of smudging—particularly with white sage. Smudging can be done by anyone and everyone. This guide is intended for persons who aren't really that familiar with the practice. Smudging is, for the most part, an act of purification. It's also used for other things, but they're beyond the scope of Smudging 101, so I'll skip that for now. The most important thing you need to know about smudging, is that the smoke is highly cleansing. I've heard it said that the smoke has properties which cling to negative energy and remove it from the intended object or person. Whether or not this is true is of little consequence; what matters is that you will notice a marked improvement in the feel of yourself and the surrounding area after using it. Simply burn your herb of choice (see below) and allow the smoke to surround and permeate the object, room, person, etc. You can burn the herb in its loose form, or you can burn a stick of bound leaves. I'll get into the details of "how" in a moment. First, let's look at the "what." 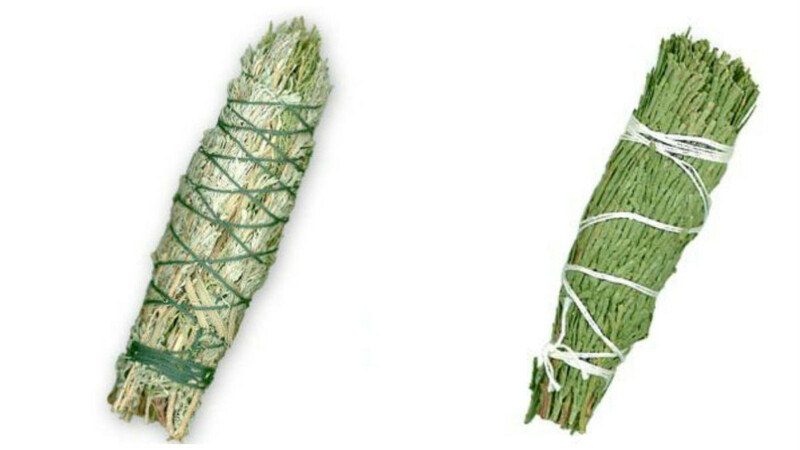 There are several herbs commonly used for smudging, and it really doesn't matter which one you choose, apart from your being comfortable with it. You'll hear some people claim this kind is better for this, and this kind is better for that —and it might be, for them—but you are not them, and you need to choose the kind that best suits you. Personally, I use white sage, but feel free to experiment with lavender, pine, and cedar, too. There are others you could try as well, but I'd recommend these first. 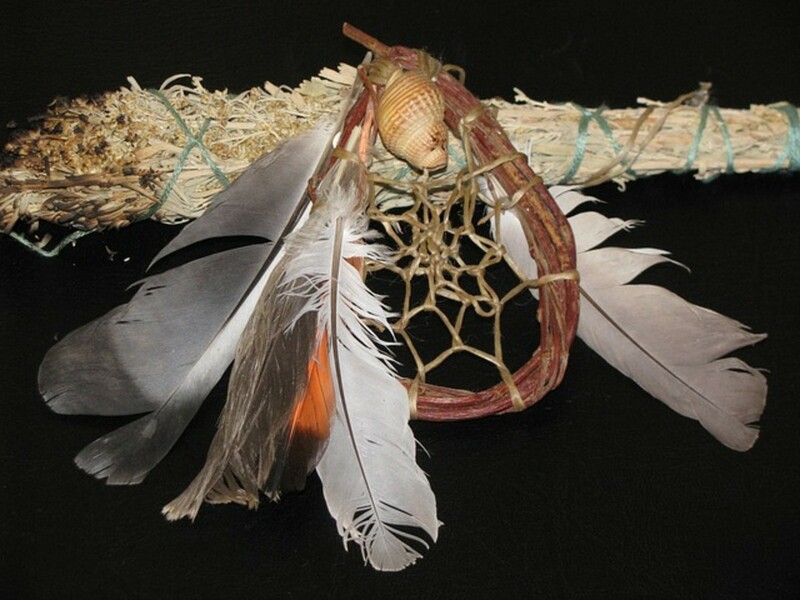 You could also try a combination; sage/cedar smudge sticks are pretty easy to come by. 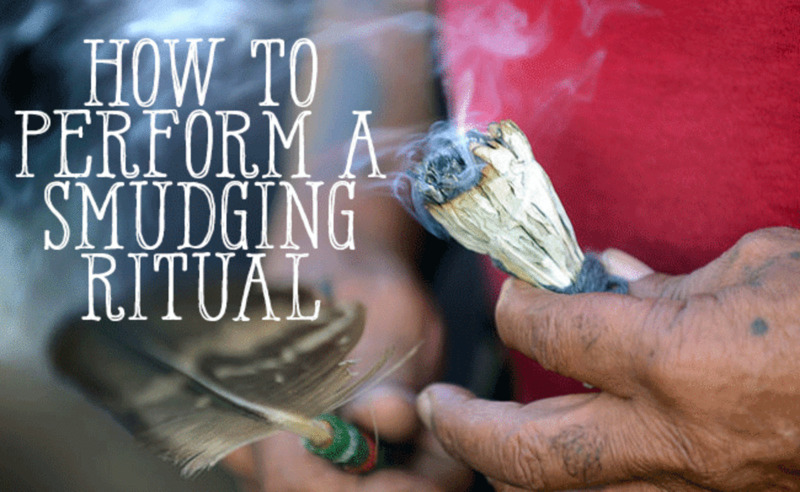 Whether you're smudging loose sage or a stick, you're going to need a place to burn it. 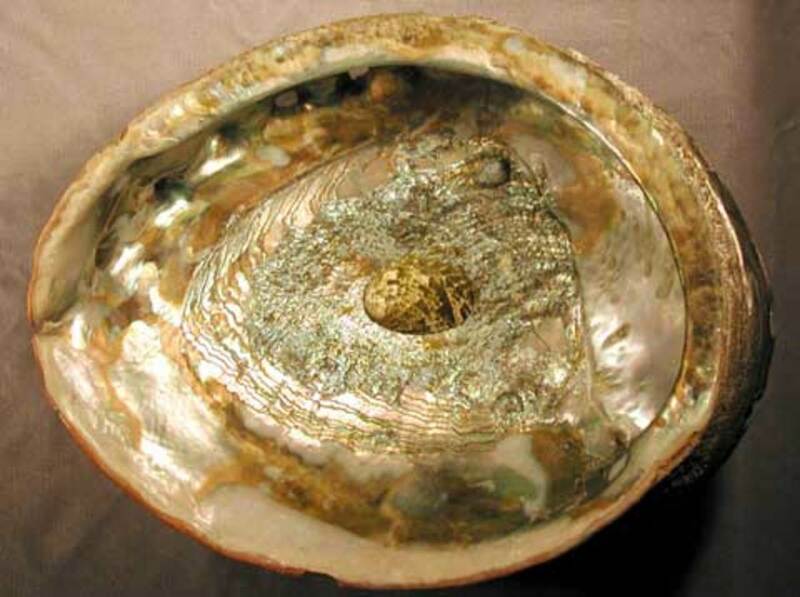 A lot of new-agey people seem drawn to sage pots and abalone shells for some reason, so you'll often find them for sale next to the smudge sticks. I don't have anything against them; if you like them, get one. But you don't need one—you can use a regular old ashtray (preferably new—I don't recommend using a used one) or even a small plate, if you want to. Just make sure they have been cleansed first. Give 'em a wash with sea-salts and then smudge them before using. Smudging is really easy, and anyone can do it. Do not get wrapped up in New Age symbolism or other distractions, none of it is necessary; not for clearing, cleansing—nor anything else, for that matter. But that's another topic for another time; for now, let me just tell you how to smudge. Get some sage (or whichever herb you prefer). Get something to burn it on. If you're burning loose sage, you will definitely need some type of shell, bowl or plate that can take the heat. Tin and other thin materials are a no-no—they will burn like hell when you pick them up, and they can scorch the surface beneath them if your sage-burning ritual lasts long enough. If you're burning a smudge stick, you really just need something to rest it on. That can be a plate, ashtray, shell, whatever—just make sure it's burn-proof. Light up. If you're burning loose herbs, light them up, let them burn for a few seconds and blow the flame out. Be careful when you blow; loose sage gets airborne pretty easily. If you're burning a smudge stick, let it burn a bit longer before blowing it out, as sticks tend to burn less easily. If you're clearing a room, simply walk around and guide the smoke until you feel the energy shift. It doesn't take much; a few minutes ought to be enough for a basic clearing. If you're doing more than that, you might smudge for a longer period of time, but we're only covering the basics right now, and a few minutes is perfectly adequate for a routine cleansing. If you *are* smudging for a longer period, I've found loose sage to be more practical, as it seems to burn longer and with less attention. Smudge sticks seem to die pretty quickly unless you've really torched the sucker at the start. Let it burn out. The idea here is burning what you need and hopefully having it self-extinguish by the time you're done. This is something you'll need to experiment with a bit, but it's a lot easier than it sounds. When in doubt, burn less—you can always light it up again—this is a far better alternative to having to wait for it to die out on its own. When moving into a new home, flat or room. When you want to cleanse the energy from a particular place or object. When feeling depressed, anxious, or otherwise unusual (with low 'spirtual' energy). When needing to focus energy or thoughts. 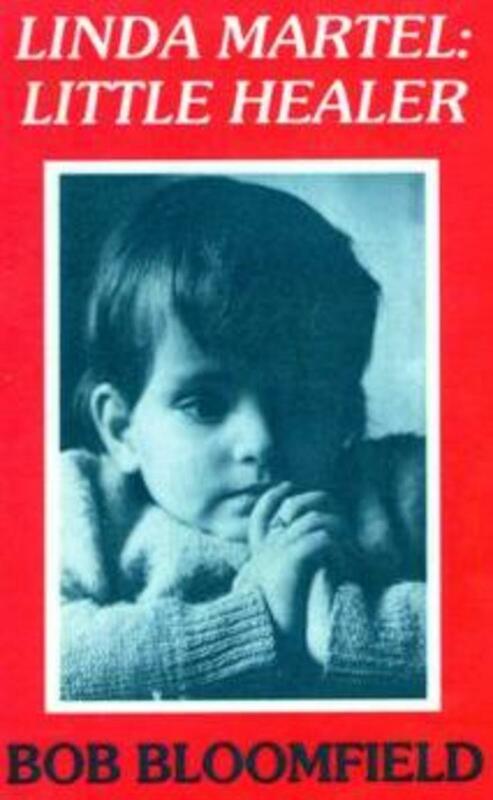 Before sleep to prevent nightmares. When needing to relax in general. Any other time you see fit. Remember: The longer you leave the herb lit, the longer it will burn, and the more smoke it will produce. Don't overdo it; your home will reek. You may want to open a window, as sage (and other herbs) can sometimes smell quite pungent, even when not overdoing it. Be mindful of pets. This smoke is not intended for inhalation; you don't want Fido sucking it down because you overdid it. In my experience, loose sage produces far more smoke than bundled sticks. Start out with a few pieces and go from there. You can combine herbs, if you like; sage and cedar, for example. You can also put a dab of oil on the sage itself. Just make sure the combinations smell good together. If you're emotionally overwhelmed and feel as though the weight of the world is on your shoulders, you might be an empath who is absorbing other people's energy. Learn the signs and how to cope.